mean integrating two cultures and maybe also two identities. me, as a bilingual, bilingualism is a natural fact of life. cussion and formulation of hypotheses are the subjects of the last subchapter 5.3.
second part of the case study which was carried out with the help of a questionnaire. sults is given in subchapter 11.3.
further discussion and directions for future research. speaking more than two languages as well. tion. All over the world we can find many bilingual communities of migrant origin. English, French or Spanish (Milroy & Muysken 1995: 1). that there is a fundamental distinction between individual and societal bilingualism (cf. is the term Ferguson (2000: 65) used for "two or more varieties of the same language"
conditions." He distinguished between informal Low (L) and formal High (H) varieties. or more languages or varieties are spoken. defining who counts as a bilingual speaker will be presented afterwards. or more languages sufficiently to carry on a limited casual conversation." guages will be called BILINGUALISM, and the persons involved, BILINGUAL." was also often quoted by other linguists (cf. Hoffmann 1991: 15). the native language, it results in bilingualism, native-like control of two languages. tions of bilingualism can be classified in narrow and wide definitions. Multilingual and bilingual speakers can communicate in more than one language. field of research, but also an aspect of the broad concept of bilingualism. country and the other in a different one (cf. Hoffmann 1991: 18f). being maintained, it is actually being `subtracted' from their bilingual proficiency. L2 as their main language. are many factors which influence maintenance or shift of L1. chapter 11 of section IV, Case Study on Russian-German Code-switching. to the maximalist view of bilingual competence, linguists speak of perfect bilinguals. as the dominant one, i.e. they have a stronger or preferred language and a weaker one. is one of the most studied topics in language contact phenomena. spectives ­ from a linguistic, a psycholinguistic and a sociolinguistic point of view (cf. opposites result in language shift. key objectives of second language acquisition is to become bilingual" (Wei 2008: 8). ing to the topic of the conversation, the participants involved or the setting. ly in bilingual knowledge, acquisition and use (cf. Wei 2008: 9). "maintain and change ethnic group boundaries and personal relationships." 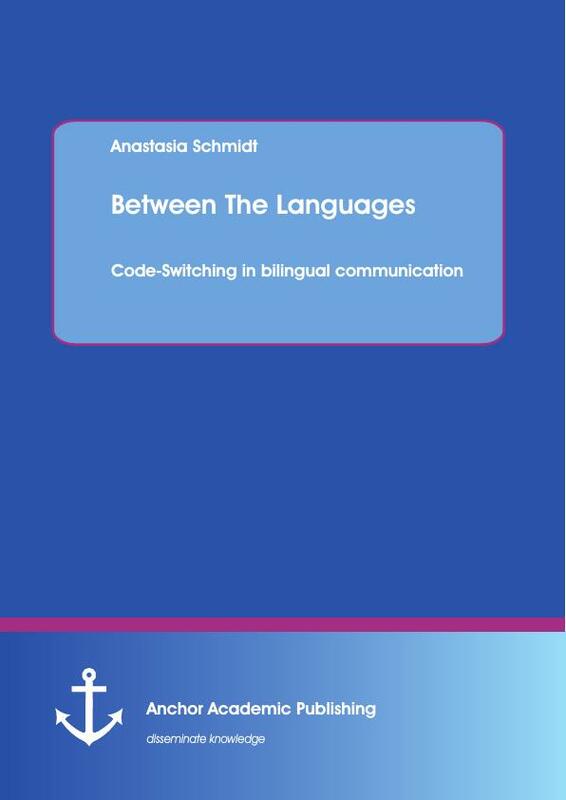 important phenomenon in bilingualism research and language contact is code-switching. code-switching. Moreover, there are different spellings of code-switching in literature. spelling will be used in this thesis. Friday... she takes work seriously. cant question which arises is why bilingual speakers are doing this kind of switches. tions with respect to my case study. First, some definitions of the term code-switching will be discussed in this chapter. 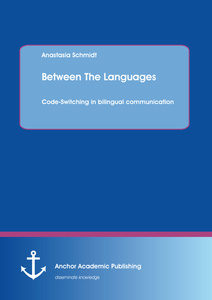 chapter 2.6 considers the sociolinguistic and pragmatic aspects of code-switching. common and original strategies used by bilingual speakers among themselves." background and changes from one language to another in the course of conversation." as "the alternation of two languages within a single discourse, sentence or constituent." scribed below. In Haugen's terminology integration is the phenomenon of borrowing. (1968: 1) has studied the language contact phenomenon of interference. and some areas of the vocabulary. language contact phenomena under the general term interference. els of language, such as phonology or syntax. transference instead of interference (cf. Romaine 1995: 52). literally. These types of borrowings are also called calques or loan translations (cf. Grosjean 1982: 318). (cf. Appel & Muysken 1987: 121). according to Poplack et al. (1990), nonce borrowings ­ an intermediate category (cf. borrowing and code-switching is not a clear-cut distinction and has to be made explicit. borrowing (cf. Halmari 1997: 170). of the matrix language, i.e. when it follows the grammatical rules of the other language. guals and are widespread in bilingual speech communities. be distinguished from code-switching with respect to frequency counts. Borrowed forms, therefore, should be distinguishable by their individual frequencies. phologically ­ to the matrix or base language. word from another language into his speech" (1956: 40). Weinreich or Haugen were concentrated on other language contact phenomena. linguists approach code-switching" (Milroy & Muysken 1995: 7). vide more insights into the sociolinguistic and pragmatic aspects of code-switching. Equivalence Constraint. In section III, these two constraints will be presented in detail. ories, explanations and models of code-switching discussed in literature. of section III, Myers-Scotton's MLF model is presented in detail. linguals' ability to keep their two languages separate (cf. Grosjean 1995: 260f). role. In this case bilinguals have the possibility to switch between the languages. be able to present clear-cut results. switching and the differences are only terminological. switching as inter-sentential. Intra-sentential switches occur in the middle of a sentence. between sentences or within one sentence." (cf. (5)). The following three sentences present each type of code-switching. Wir sind alle Langschläfer außer Papa. 6 . We're all late sleepers except dad. He can even go walking at 6. Nach dem Essen Zähne putzen. After eating we don't have to forget to brush our teeth. And they also managed without you, you know? uttering intra-sentential switches. Tag-switching is the easiest code-switching type. the phenomenon of code-switching alternation between structures from two languages. words, which could be inserted into a grammatical structure" (Romaine 1995: 124). gualism, language mixing and code-switching. ing language choice (cf. Grosjean 1982: 129). choice is dependent on both linguistic and social factors. formality, equality, etc." (2000b: 91). Topic is a determining factor in language choice. often triggers a continuation in the language of the switch. functions of code-switching which will be discussed below. are more appropriate than others. German origin (cf. Clyne 2000). private world. Ritchie & Bhatia refer to Gumperz's we-code and they-code distinction. linguals also switch languages in an unchanged situation. 60), concerns the communicative effect the bilingual speaker intends to express.